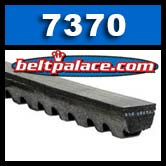 Gates 7370 Automotive Belt. 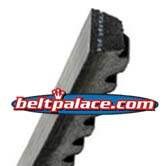 Belt, Replacement belt for Automotive use. Gates Belt 7370. Replacement belt. 13/32" top Width (10mm) x 37-9/16" OC Length (954mm). Gates V-belt. Also used in ATVs and Golf Cart alternators (belt). ONE LEFT IN STOCK. ORDER NOW!